Commemorating Alexander Macleay, 1767-1848, Secretary of the Linnean Society (Papaveraceae). This genus, sometimes listed under the synonym Bocconia, consists of two Chinese species of perennial herbaceous plants very valuable in the garden. Their most outstanding virtue is their great height (8 feet or more) which lifts their large airy heads of tiny petal-less flowers and unusual rounded and lobed leaves above less statuesque plants. Because of their bold and dignified appearance, they are useful specimen plants to stand as isolated eye-catchers, although a group of them is even more impressive. Species cultivated M. cordata (syn. 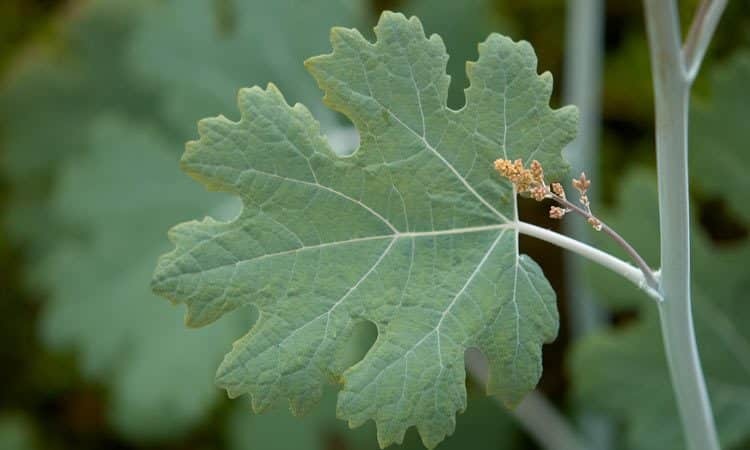 Bocconia cordata), plume poppy, tree celandine, 8-12 feet high, leaves 8 inches across, white beneath and containing an orange-colored sap which oozes out of any cut or broken surface, buff flowers in graceful panicles, summer. M. microcarpa (syn. Bocconia microcarpa), similar to the former, but the flower plumes are somewhat yellower in color, and the plant is somewhat less tall; ‘Kelway’s Coral Plume’ is a cultivar with coral-pink buds. Cultivation Rich soils suit these plants, which should also have full sun. They do very well on well-drained chalky soils. They should not require staking, except in very exposed situations, as they have stout hollow stems. Since they sucker rather freely, detachment of suckers in early summer provides the most suitable method of propagation. If a clump is being dug up for transplanting it is essential to remove every piece of root, otherwise, new plants will eventually appear even from quite small pieces of root left in the soil.